Instant Pot recipes are a staple around here. We love making Ribs in the pressure cooker and serve with side dishes such as Corn Casserole, Mac and Cheese Casserole or Corn on the Cob. Instant Pot Short Ribs are so incredibly tender, juicy and flavorful that this may become one of your favorite meals! I love short ribs, in fact, I am a huge fan, but we all know how time-consuming it is to make them, as it takes hours and hours to cook. Well, with pressure cooker this problem is solved! These delicious homemade ribs are ready in 2 hours, with only 30-minute active work. Now when you crave some fall-off-the-bone ribs, cooked in the most divine wine sauce, you know that you can start dinner at 5 and eat at 7! Winner Winner! Make sure you brown/sear the short ribs, don’t skip this step in an attempt to save time. It will make a huge difference in taste! Sear them in batches, you should have one layer of ribs in the pot at a time. I like to sear them on all the sides after that remove them to a plate and cover with foil to keep them warm. 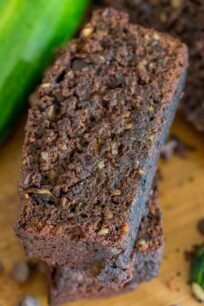 You can also make this recipe with beer instead of red wine. Also, if you would rather skip the alcohol, you can use unsweetened apple juice or even cranberry juice! To avoid to have overly sweet ribs, you can use half juice and half beef broth! Similarly, I love adding molasses and balsamic vinegar to the sauce. It makes it thicker and sweeter, which goes hand in hand with the succulent ribs. The carrots are optional, you can skip them if you prefer. You can add more or less garlic, based on your own preference. I also like to crush the garlic, not mince it in this recipe. But feel free to mince it, if you have a texture preference. Why cook ribs in the Instant Pot? First, the cooking time is reduced by a lot in comparison to smoking, grilling or roasting them. In addition, the results are falling off the bone tender ribs, that everyone can enjoy in just a little over an hour. Lastly, it requires minimal prep work for a great dinner! 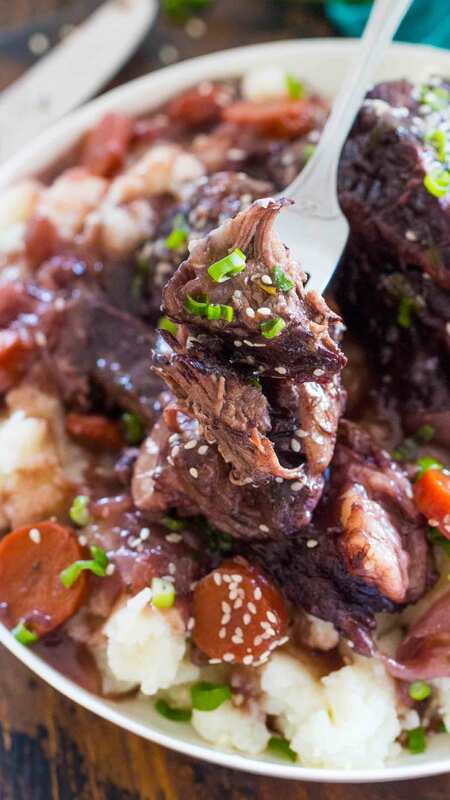 What do you serve Instant Pot Short Ribs with? 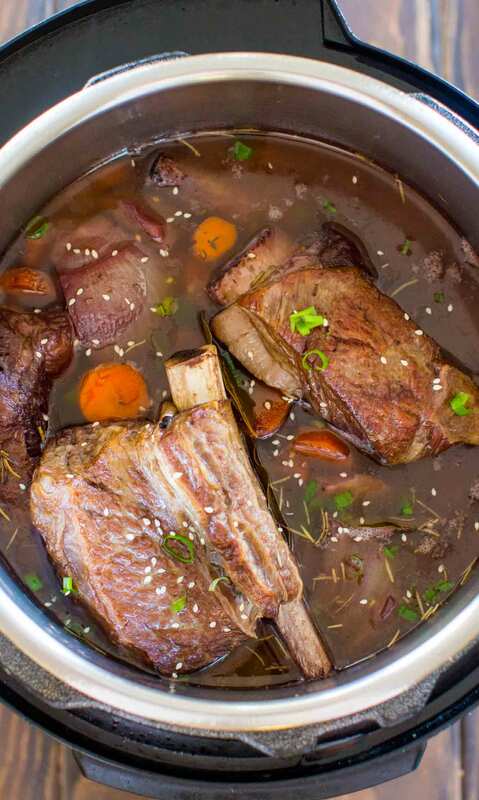 This is an optional step, but if you have time and can plan ahead: pour the red wine over short ribs in a large bowl, cover with plastic wrap and marinate in the refrigerator, 8 hours to overnight. When ready to cook, season ribs with salt and pepper. Select the "Saute" setting on an electric pressure cooker and Adjust it to High. Once it reads HOT, add olive oil. Add 2-3 short ribs to hot oil, you want to sear the short ribs in batches, in one layer in the Instant Pot. Cook until bottom is browned, about 8 minutes. Cook a few more minutes on the other side. Transfer browned short ribs to a plate and cover with foil. Repeat cooking with remaining short ribs. Once the ribs have been seared and are resting now covered in foil on a plate, add to the pot the crushed garlic, cook for 1 minute. Add the rosemary and thyme, stir and cook for 1 minute. 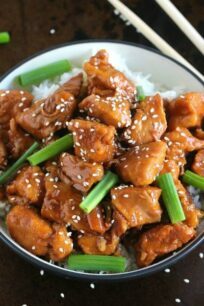 In a large cup, mix together 1 cup of red wine, the soy sauce, and the Worcestershire sauce. Add the sauce to the pot to deglaze it. Using a wooden spoon scrape the bottom of the pot really well to remove any pieces the stuck to it. Add one more cup of wine. Add one layer of short ribs, the quartered onion, and the carrots. Top with the remaining ribs and the remaining wine. Add bay leaves. After you added all the wine if the second layer of short ribs is not covered in liquid at least to its half than add one cup of beef broth. The bulk of the ribs need to be submerged in liquid. Ensure that the total volume does not go above the maximum fill line. Close and seal the pressure cooker. Turn the venting knob on top to "Sealed". Press the "Manual" button and set the timer for 40 minutes on High Pressure. For bone in, larger short ribs, add 15 more minutes to the cooking time. Note: the pot has a lot of liquid, so it may take over 20 minutes to come to pressure. When it beeps do a natural pressure release for 15 minutes and then release any remaining pressure. With tongs, remove ribs to a platter and cover with foil to keep warm. Optional: Use a fat separator or a mesh strainer to separate the fat from the juices, keep in mind that you wont be able to do this if you added the carrots. If you added the carrots, skim the sauce off with a spoon to remove the fat. Remove and discard the bay leaves. Return juices to the pot. In a small bowl, combine molasses and balsamic vinegar and add it to the pot. Select Sauce function and Adjust to Medium heat. Simmer the sauce for about 30 minutes, stirring occasionally until it thickens. If the sauce is not as thick as you want, in a small bowl, combine cornstarch and water and add it to the pot, stir to combine and bring to a boil. Turn pressure cooker off. Optional: Add ribs back to the pot and gently coat with the sauce. Put the lid back on the pressure cooker and let the ribs absorb some of the sauce for about 10 minutes. If after the cooking time, the ribs are not as tender as you want, pressure cooker ribs longer until the meat is fall off the bone tender. 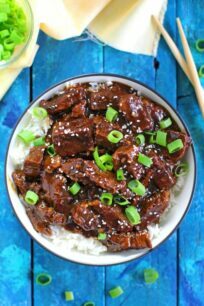 Short ribs are so flavorful, and I love this instant pot take on them! I would love to eat this for dinner! Those short ribs are cooked to perfection. Oh my goodness! Those short ribs are fantastic!! I can’t wait to try these ribs in the IP! Looks amazing! I’m obsessed with my Instant Pot right now and these ribs look so delicious! 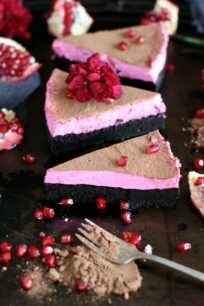 Will have to add this to my list of IP recipes to try! 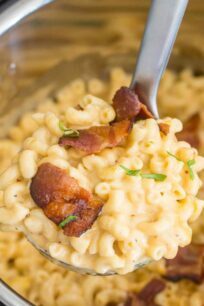 This is the perfect dish for my family and that’s difficult to find. We all love ribs. I’m going to give it a try this weekend. 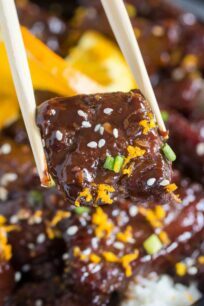 Oh my goodness these look absolutely delicious, I have to admit I do love a good rib meal and I really need to look into instant pots more. 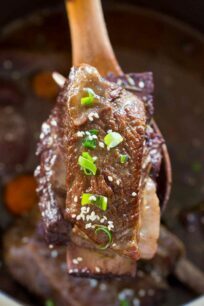 Those short ribs looks delicious!! I would love to eat this for dinner! The instapot is amazing! My family would love for me to make ribs. I just had short ribs the other day. Man this recipe is on point though! I haven’t have had ribs in ages! 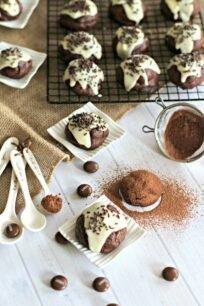 they look so so delicious! I need to try this recipe! 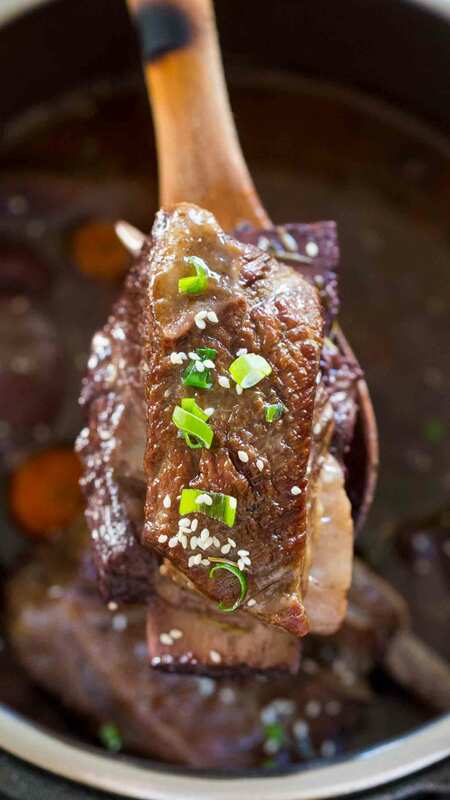 I love short ribs, and this recipe sounds absolutely amazing! I have never thought about adding some wine to the sauce. Cannot wait to give this a try! 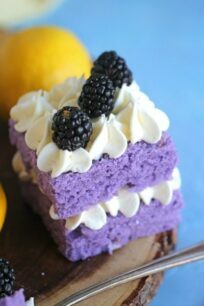 This looks so tasty. Love it! I want to try this soon! We love ribs in our home. But I will admit, I’ve never tried making them in an instant pot. I’ll have to try this. I’m all about slow cooker recipes – they’re so simple and convenient. I bet my boys would love these ribs! Oops, I just realized this is an Instant Pot and not a slow cooker! Still looks delicious! Looks so good! Can’t wait to try this. Thanks for sharing. So has anybody actually tried this recipe? I may do so tomorrow. Question – what red wine do you think would be best? I don’t drink much wine, and I know the flavor of the wine is important because you are going to taste it in the final product. Can you recommend specific brand/type of wine? As a general rule, cook with wine that you’d also be willing to drink, as cooking doesn’t magically improve the taste of wine. I like to use Pinot Noir in this recipe or Cabernet Sauvignon or Merlot. 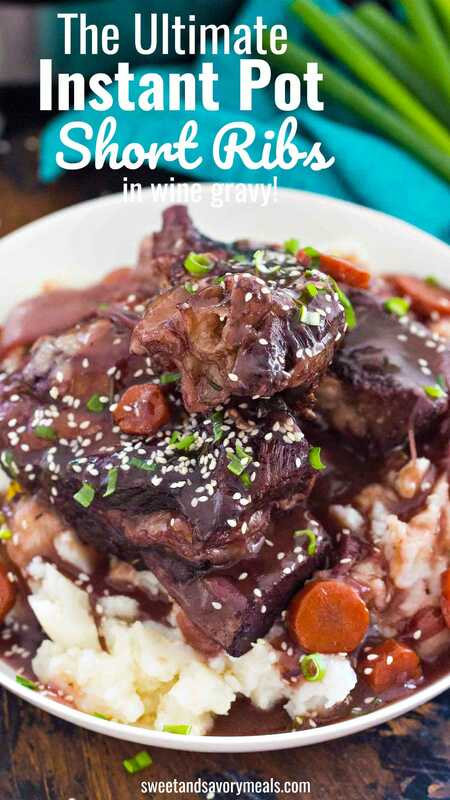 If I marinate the short ribs in 3 cups of red wine the night before, can I use that same wine for the recipe? Hi I’m getting ready to try this recipe. I’m using the instant pot. The instruction says to set to the sauce function and let simmer. My instant pot doesn’t have sauce function. Can I just leave it on saute or use the soup function? you can’t leave it on soup, as it will try to pressure cook it. What function do you use when you want to saute something? Hi! 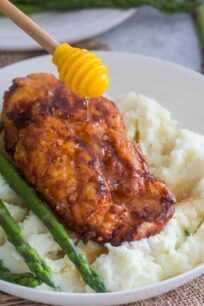 I love your site and all the recipes! Just getting ready to make this one for tonight’s dinner. Question: if I only have 1 short rib (about 1 lbs), does the 40min pressure cook time need to be adjusted? Thanks! Hi Angie, sorry for the delayed response, its better to message my facebook page if you are looking for me to reply asap. Technically you don’t have to change the cooking time when you change the quantity of the meat, but since its only 1 rib and it will be submerged in liquid I would fo 30 mins. The beef was very tender and juicy, however the recipe does not tell you when to add the bay leaves. Also for my own reference, I will have to cut all recipes in 1/2 since I have a mini instapot. It required me to do 2 batches to fit 3# of ribs. 1st time user. I made this last night for my premier use of my new Instant Pot. My girlfriend told me over and over how amazing it was. Thanks for the recipe. I’ve bookmarked this page so I can try others! This was delicious! I did need to reset the instant pot for an additional 15 minutes (made 4 ribs for two of us). Sauteed the onion with the garlic for added flavor plus thickened the sauce with cornstarch. Served with twice baked potatoes and an avocado tomato salad. Delicious! I did need to reset the IP for an additional 15 minutes as the ribs weren’t quite tender enough. Sauteed the onion with the garlic, and ended up thickening the sauce with cornstarch. Served with twice baked potatoes and an avocado/tomato salad. I was wondering if the cooking time is the same for 3 short ribs. I have done some baby back ribs before using someone elses recipe in the instant pot and used the same time as they did with less racks and it was really dry and not falling off the bone. I just dont want to mess it up, so was wondering your thoughts!